Charles Concordia (1908 - 2003) was born on June 20, 1908, and grew up in Schenectady, New York. His father taught piano and other instruments, and classical music remained an interest of Concordia's to his death. His originality and self-confidence showed up early. In 1926, an honor student excelling in physics, he went straight from high school to the General Electric Co., also in Schenectady, where he worked on early television research. Eight years later, in 1934, he graduated from the company's Advanced Engineering Program. The first of his many technical inventions was a detector of cracks in rails, which he developed in GE's General Engineering Laboratory. Based on magnetic field measurements, his technique did away with the need to clean the rail beforehand - a prerequisite of the prevailing technique, which employed a Kelvin bridge for measuring the rail's relatively low electrical resistance. Concordia began focusing on systems engineering and electric utility work, and became GE's consultant to public utilities, advising on system protection and reliability. 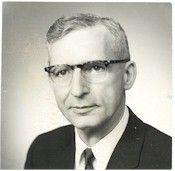 Dr. Concordia made significant advances in several fields of engineering while at General Electric from 1926 until 1973. During World War II Concordia worked on generators and turbines for naval destroyer propulsion, researched superchargers for airplanes, and helped develop ships' electrical drives. In the 1940s he chaired AIEE's subcommittee on large-scale computing devices and continued his consulting work after the war. In the 1940s, Dr. Concordia pioneered the idea that synchronous machines' voltage-regulator characteristics affect their stability, which is now widely accepted. 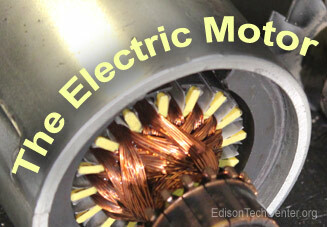 His 1944 paper "Steady State Stability of Synchronous Machines as Affected by Voltage-Regulator Characteristics," in the Transactions of the American Institute of Electrical Engineers, has been one of the most cited in the field. His 1951 book Synchronous Machines –Theory and Performance is still cited frequently. All aspects of electric power systems have gained from his creativity, including turbine and generator design and performance, load behavior under normal and disturbance conditions, system control and protection, and analysis of power blackouts. His 130-plus technical papers and six patents related to electric power system stability, speed governing and tie-line power and frequency control, design of power systems for maximum service reliability, computing machines, centrifugal compressors, and wind tunnel fan drives. He excelled in the application of digital computers to power engineering and other engineering disciplines.